The Tithebarn Keymin range of mineral supplements is formulated to ensure that it takes only a small quantity in each ration to make a big difference to the health of your stock. This makes Keymins highly cost effective. Keymins are also easy to mix and highly palatable. We can provide expert advice on the right Keymins for your stock and your farm conditions. 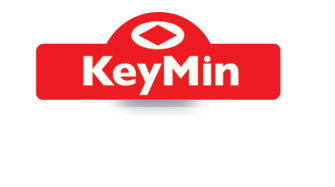 Keymins contain phased release copper, manganese, zinc, our unique Sel-Link protected selenium, and other trace elements. A highly digestible phosphorus source, flavourings, molasses and waterproofing agents complete the formulation. Better fertility is the key to making herds and flocks more productive, and the overriding success factor is good nutrition. Mineral supplements play an important role and there are plenty to choose from. But cheap supplements are often a false economy, as unlike Keymins they lack the specific combinations of minerals needed to improve fertility. Keymins can also improve daily liveweight gains, finishing times and kill-out percentages. Young stock benefit from the good start that a correct balance of protein, energy and minerals gives them. They are less susceptible to health problems, grow more quickly, and ultimately are more profitable. Phosphorus rich supplement for lactating dairy and suckler cows. High phosphorus and zinc supplement for dairy and suckler herds. Specifically designed supplement to meet the needs of breeding cows.